Establishing a governance framework for your family business can improve business performance and help satisfy the expectations of all family members. reached when the founder of the business relinquishes day-to-day control of the business, or when it reaches a size and complexity unsuited to informal and unstructured management styles. Continuation of family ownership and control can be fraught with difficulty. In business, as in life, families don’t always see eye to eye. Family members can have different expectations and ambitions for the business. Family disputes can paralyse management of the enterprise, endangering ongoing family control and, sometimes, the very existence of the business. It’s important for families to recognise that a family business has a life of its own that transcends that of the family. It’s why a professional and structured approach to the management of the business serves everyone’s best interests. It’s also why we’ve established the 10 Rules of Good Governance. 1. Establish a family council to approve key strategic business decisions, resolve family disputes and decide how to distribute the wealth generated by the business. 2. Appoint an effective board, including independent directors. 3. Define the respective roles of board and management and appoint the best person available as CEO. 4. Conduct board meetings constructively, making them business focused, not family focused. 5. Make decisions methodically, covering all the relevant issues. 6. Develop a clarity of vision that leads to a proper strategic planning process. 7. Understand and manage your business risks. 8. Look for the ‘bad news’, ensuring that problems and irregularities are not overlooked or ignored. 9. Monitor and evaluate business performance, highlighting key trends and issues. 10. Create an effective assurance framework embracing management controls and internal and external audits. 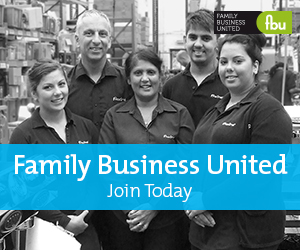 Reproduced with the express permission of Family Business Australia, a partner of Family Business United and the peak body for family and private business in Australia.